Climate change is one of the biggest challenges to the economy. As a response to this challenge, the project Economic Modeling for Climate-Energy Policy (ECOCEP) carried research on the economics of climate change and energy. From the Kyoto Protocol of 1997 to the Paris Agreement of 2016, several countries around the world agreed on the reduction of the emissions of greenhouse gas. The European Union (EU) adopted policies to deal with greenhouse gas emissions in its 20-20-20 targets. All climate and energy policies do have economic consequences, just as much as climate change. Some policies focus on mitigating the causes of climate change. They phase-out of fossil fuels, support the transition towards renewable energy and promote energy efficiency. Other policies provide measures to adapt societies to the effects of climate change. Among other, they respond to environmental risks, food production threats, and health issues. ECOCEP structured its analysis on the EU 20-20-20 targets and other climate and energy policies around the world. Hence, the researchers have estimated the economic value of the effects of climate change. And they have developed models to assess the impact of climate policies on the economy. All aspects of risks, vulnerabilities, and adaptations of societies have been considered. Models have been developed or improved along with an integrated approach and advanced economic tools. The project drove four great sets of results on the reduction of greenhouse gas emissions, the increase of the share of renewable energy, the increase of energy efficiency, and non-market effects. 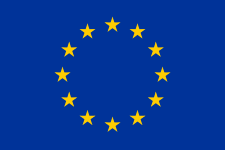 The project ECOCEP is funded by the People Programme (Marie Curie Actions) of the European Union’s Seventh Framework Programme FP7-PEOPLE-2013-IRSES, Grant Agreement No 609642. The contents of this website are the sole responsibility of ECOCEP and can in no way be taken to reflect the views of the EU or Marie Curie Actions.